And we want them to know it too! Through the transformative power of music, we’re helping young girls cultivate confidence, try something new and command an audience. 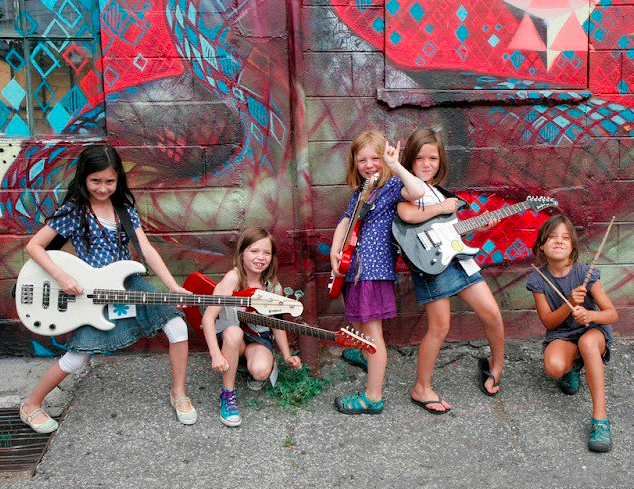 Our weeklong summer camp teaches girls the basics of how to play an instrument and culminates in a live performance with their newfound bandmates. But it does so much more. It teaches daring and bravery that last far beyond adolescence. It celebrates diversity of sound, skin color and identity. It develops their creativity. And inspires them to get loud in all areas of their life. When a young girl realizes she can tackle a guitar riff with gusto, she starts on a fearless path toward lifelong confidence and resilience. Learn about who we are, our programs and how you can support our mission. 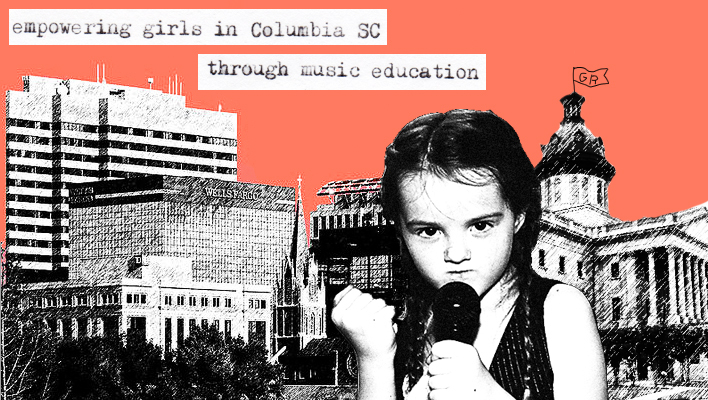 Girls Rock Columbia is a member of the Girls Rock Camp Alliance. Statement of Diversity/Non-discrimination Policy: The Girls Rock Camp Alliance values diversity of age, race, economic status, gender expression, size, physical ability, developmental ability, musical interests, learning styles, nationality, religion, thought, citizenship status, and sexual orientation. We promote respect and do not tolerate racism, sexism, homophobia, or other discriminatory behavior or expression.